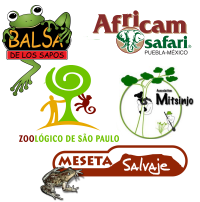 Zoos and aquariums around the world have already accomplished some great work in amphibian conservation. But the time for status quo is far behind us: we must change our view and approach to amphibian conservation now. We are no longer talking about an amphibian population decline phenomenon, we are speaking of an amphibian species extinction crisis. 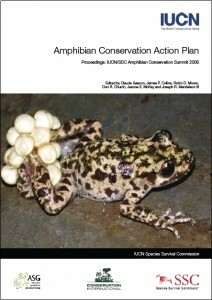 43% of amphibian species are experiencing decline, 32% are globally threatened, more than 120 species are possibly extinct, at least one family (with a unique reproductive mode) has been lost. We are on the verge of losing a huge part of an entire vertebrate class, one more speciose than the mammals that are currently consuming the lion’s share of our resources. This epiphany comes with a charge – any organization that considers conservation a core goal must take immediate measures for significant action! Our response now must be in proportion to the crisis, lest we relegate ourselves to mere entertainment venues with no facade of conservation, as our critics have long accused. Not only are we uniquely qualified for the task, the rest of the conservation and scientific community is expecting us to respond. “The summation of the 1999 space survey is that there is only enough space existing in AZA (Association of Zoos and Aquariums) institutions to accommodate 10 taxa of amphibians at the management level of PMP (Population Management Plan) or SSP (Species Survival Plan). In these same institutions there is enough space allocated for mammals to accommodate at least 57 SSPs and the majority of these mammals have a body mass of more than 10 kg and significant space requirements. If each AZA institution allocated an additional 400 square foot building to amphibian management and provided keeper support for the facility, the number of taxa that could be managed at a PMP or SSP level would easily exceed 100 taxa. If AZA is to “Keep all the Pieces”, the theme of its 1996 annual conferences, then a wave of dedicated amphibian facilities must be built. Amphibians need dedicated space and should not be simply incorporated into Reptile Houses or included as a small part of biome or zoogeographically-themed facilities. 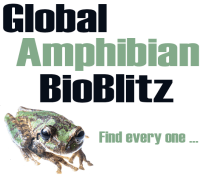 If this dedicated space is lacking, zoos will never play a major role in maintaining amphibian biodiversity.” – Dr. Kevin Wright, ATAG 2000 Regional Collection Plan. A guide to husbandry and biosecurity standards required for the safe and responsible management of ex situ populations of amphibians – These standards are based upon those reported in the proceedings of the CBSG/WAZA Amphibian Ex situ Conservation Planning Workshop, El Valle, Panama, 12-15th February 2006.